Plaster Conditions Survey | John Canning & Co. 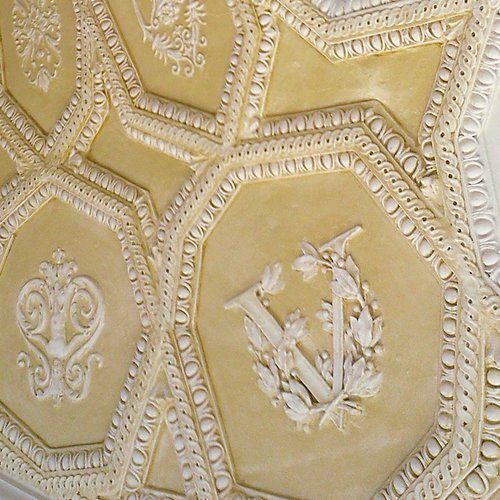 There are many reasons that aging ornamental and flat plaster substrates might begin to crumble, swell, or otherwise fail in older or historic buildings. In order to reverse that damage, you first must understand what is causing it. Only then can the underlying problem be removed so that the plaster can be confidently stabilized and restored to its former glory. A plaster conditions survey is designed to reveal the condition of your plaster and define the next steps that should be taken to stabilize and repair the work. Repairing unstable and damaged plaster, particularly on historic buildings, can only be successful with the right materials and approach. 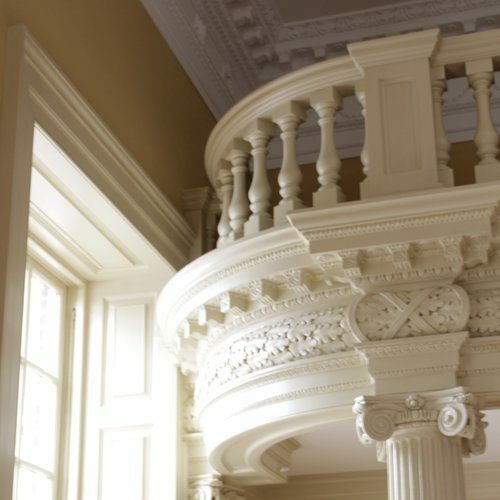 That’s why for more than 40 years, owners and architects have turned to John Canning & Co. for our expertise in plaster surveying, stabilization, and analysis. Our accomplished, professional staff correctly assesses and defines the scope for preparing, restoring, and replacing plaster so that the surface is ideal for the planned decorative finish. On-site inspection of the plaster, the lath supporting it, and the general surrounding environment in order to understand the condition of the plaster and, if damage exists, the source of the damage. Typically, on-site inspection will take anywhere from 1 to 3 days, depending on the location of the plaster, the extent of the damage, and whether or not scaffolding must be assembled in order to examine the plaster. Laboratory analysis of samples collected during the on-site inspection, to determine the exact composition and nature of the plaster. For example, if the plaster is gypsum- or lime-based, the analysis may help us identify the original source of the plaster, such as whether it originated locally or not. Archival research of primary and secondary sources (news articles, original specifications, photographs, etc.) in order to understand the historical context of the plaster, how it was originally conceived, and whether any previous repairs had been made. Report and documentation, complete with the identified cause of the damage and a recommended scope of repairs and next steps, whether that includes reinforcement or replacement of the plaster. The report also includes a preliminary estimate on the cost of the repairs. 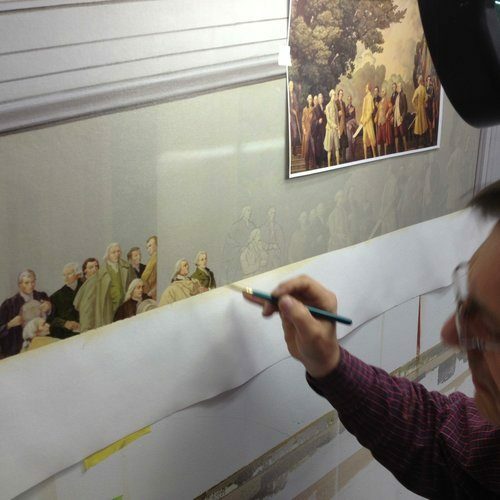 At John Canning & Co., we pride ourselves on our ability to interpret our analysis in the context of the complete structure and its historic fabric. 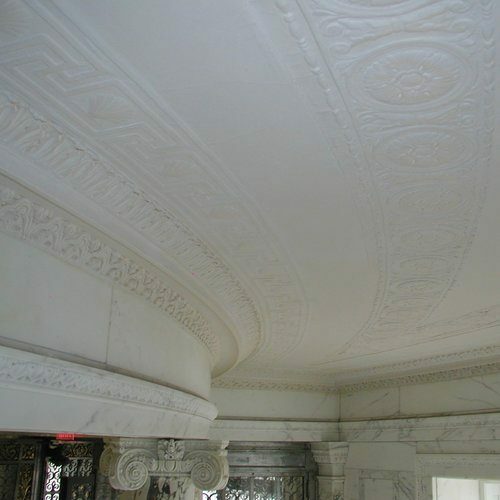 Understanding the original purpose of the plaster, the role of light and shadow, the limits of the supporting structures, and the relationship between the plaster and other nearby ornamental elements is critical to effectively putting the results of a plaster conditions survey into action. Without this interpretation, the report is simply data, which can be difficult to act upon. Generally speaking, we would recommend a plaster conditions survey be completed for the following three primary reasons: Your plaster is failing, you are planning new structural work to a building that houses historic or decorative plaster, or you are planning other decorative work. Plaster can begin to fail for a variety of reasons. Water damage, age, and poor ventilation are among the more common causes, but other, less common causes might include failure in the supporting structure (keys, wood lath, or framing), failure in the original methods of attachment (such as the use of cut nails), or failure caused by new repairs or the use of modern materials. If your plaster is failing, a plaster conditions survey can determine the cause of failure and establish the most efficient plan of action for stabilization and repair. 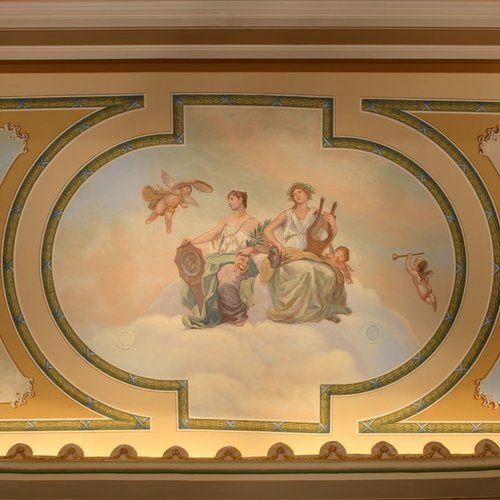 If you are already planning other decorative work for your structure (for example, decorative painting, wood graining, or other finishing) it may be wise to conduct a plaster conditions survey, especially if the other decorative work is to be completed on or near the plaster. Otherwise, failing plaster may later damage the decorative work that is currently in your focus, leading to costly repairs and frustration in the future. The exact cost of a full plaster conditions survey will vary depending on access, the number of samples to be analyzed in the lab following the on-site inspection, and a number of other factors. Completing a plaster conditions survey right the first time, before any work has begun, brings tremendous value, removing the guesswork and providing a comprehensive roadmap for the project. It is an added value to projects in the design and development phase to prevent unforeseen costs during the construction phase and any potential life safety issues. The best way for you to get an accurate picture of the cost of a plaster conditions survey and the documentation involved is to contact us directly. 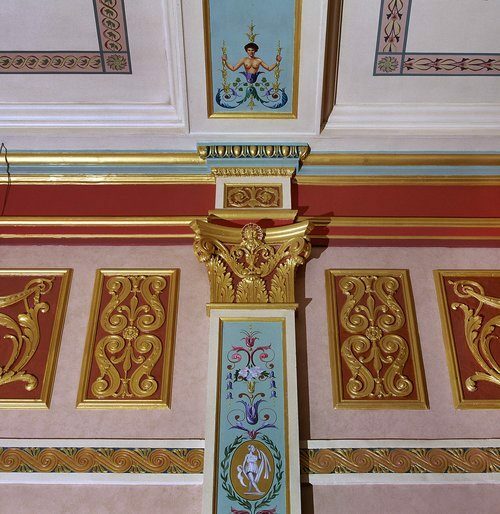 We skillfully restored the 1700s plaster walls and ornament in Maryland's Old Senate Chamber using the original historic methods and materials of the time. .
Our artists conserved and restored several spaces in the French Consulate in New York City including all surfaces in the West Room, East Room, and Gallery. 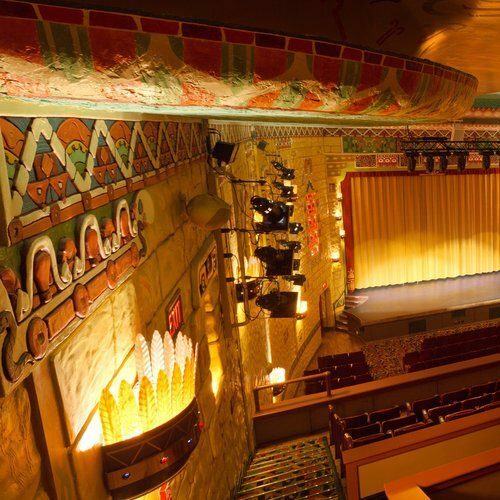 Our team's historic paint analysis and interpretation defined the original colors and finishes of the State Theatre in Bay City, Michigan. 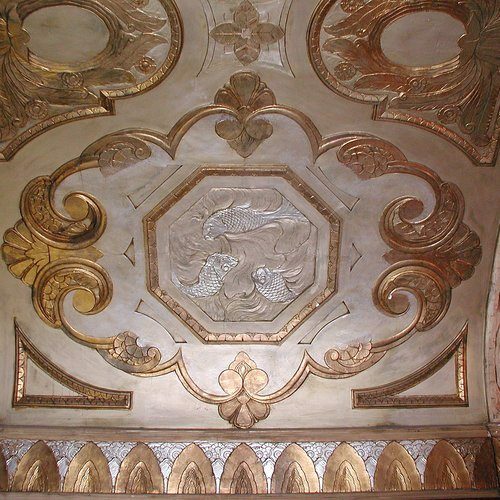 Our conservation team restored the plaster work throughout the Colonial Theatre’s auditorium and public spaces, including casting ornamental plaster. We were involved in plaster stabilization and creating a new ceiling and beam structure independent of the severely compromised Garrett Hall building.